On Saturday, March 16, 2019, Alan R. Grant passed away unexpectedly at the age of 60. Alan was a loving husband, son, brother, uncle, nephew, cousin, neighbor and friend. Above all else, Alan was an individual who loved life and lived every moment to the fullest. 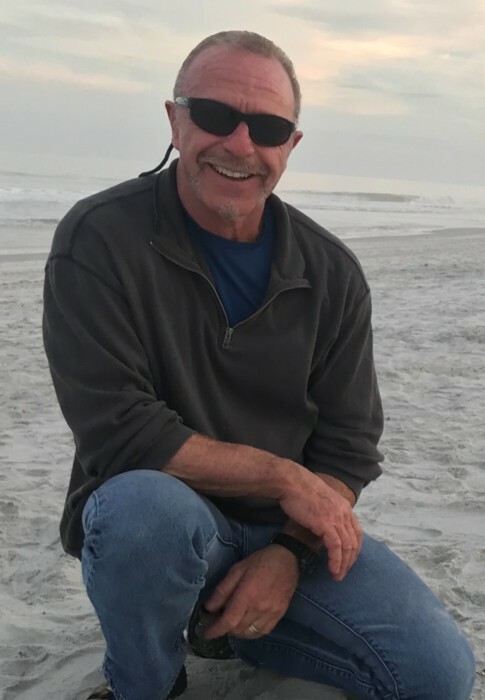 After high school, he served in the United States Navy, on numerous local City Service Boards and was an active member of the Jacksonville Beach Police Pension Board. In November of 2018, Alan retired from the Duval County School Board after 30 years of service. As a licensed contractor, Alan had the creativity, skill, and passion for creating something out of nothing. He was always willing to help family, friends and neighbors with any project they might have. He considered it his honor and privilege to use the skills he was blessed with to assist others in need. Alan's annual Halloween ritual of dressing up like the devil and making neighborhood children perform tricks for their treats will never be forgotten. Riding motorcycles at a young age with his parents gave Alan a taste for travel and adventure that he never outgrew. This was apparent to his wife when he told her with a twinkle in his eye shortly after they met that their first motorcycle trip was going to be traveling the Alaskan Highway together. Alan was and will always be remembered as a man like no other. Alan is survived by his wife, Elizabeth; his father, Jay; sisters, Brenda and June Ann(husband, Thomas); Aunt Marilyn; Uncle Junior; Cousins, Shawna and Steve; along with numerous other relatives who loved and adored him. He is preceded in death by his mother, Gwendolyn. A Funeral Service is planned in his honor on Wednesday, March 20, 2019, at Beaches Chapel Church, 610 Florida Boulevard, Neptune Beach, FL 32266 at 1:00 pm. A celebration of Alan's life will be held in his home immediately following the service.